The US, Japan, New Zealand and Australia say they’ll bring electricity to 70 percent of Papua New Guinea’s people by 2030, boosting the West’s response to growing Chinese influence in the South Pacific. 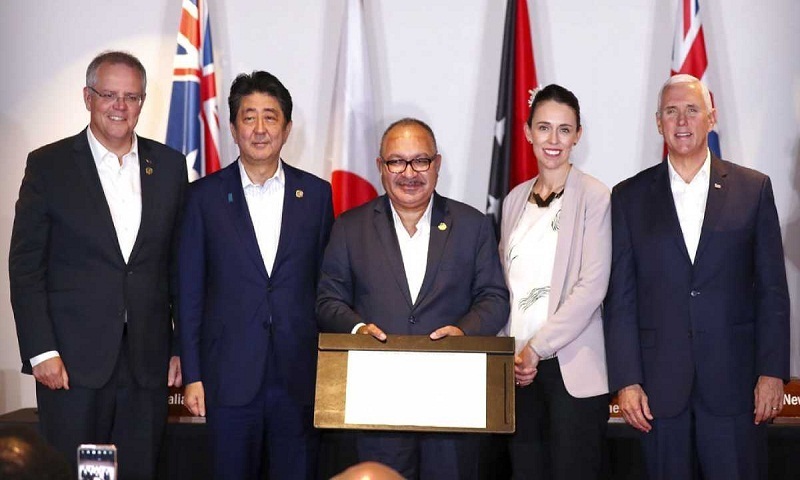 The four countries and Papua New Guinea signed the electrification agreement Sunday at the Asia-Pacific Economic Cooperation meeting behind held in the capital Port Moresby. US Vice President Mike Pence says it shows the strength of their commitment to the region. Only about 20 percent of Papua New Guinea’s 8 million people have electricity and for a significant proportion of them the supply is not reliable. The announcement comes after the US, Japan and Australia in July announced a joint effort to finance infrastructure in Pacific island states which China has aggressively wooed with loans and aid.